If you find cockroaches in your home it’s essential that you take immediate action! Roaches multiply with alarming speed and even just a few insects can quickly become an infestation. This is bad news for those living nearby – roaches are filthy creatures that are well-known for their tendency to harbor harmful bacteria. These germs are spread to everything the roach walks across, contaminating food, cooking utensils, and food preparation areas. In this way, cockroaches can transmit several nasty diseases (including Salmonella, cholera, E.coli, and Pneumonia) to humans living in their immediate vicinity. Getting rid of roaches as soon as you spot one is, therefore, of key importance! But how can you eliminate these sewer-dwelling pests from your property? When should you call a roach exterminator? Egg sacks – Roach egg sacks (or ootheca) are purse-shaped, brown in color, and less than an inch long. Some are ridged while others are smooth, depending on the species of cockroach. Finding cockroach eggs (whether empty or intact) is a sure sign of an infestation. Cast skins – As they mature, roaches repeatedly shed their skins, leaving the empty cases behind. Finding a cluster of cast skins could indicate that you have a cockroach nest nearby! Living or dead cockroaches – Luqman Butter points out that: “Often it is thought that seeing one or two cockroaches is not a big deal and does not indicate infestation within a house/apartment. However, that is simply not the case as cockroaches normally tend to stay out of sight in the cracks and crevices within the walls. Therefore, if you see one it usually is a sign of many more scurrying about within the walls which you are not able to see. 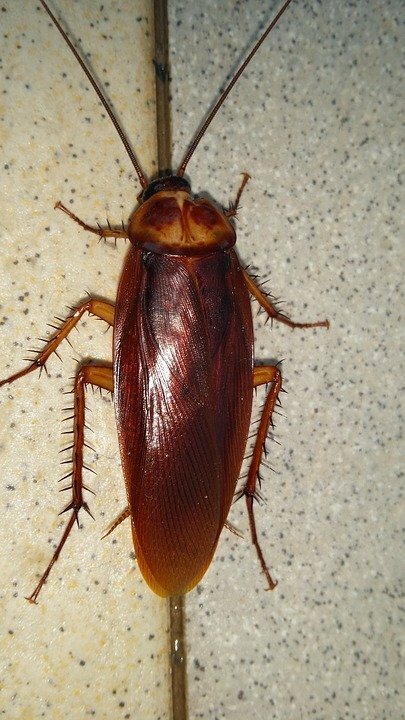 It is an indication of infestation that should be dealt with immediately, especially if the cockroach is spotted during the day-time, which indicates a high infestation.“ Finding parts of cockroaches (such as legs or antennae) is also a bad sign. Cockroaches eat their dead buddies, so finding roach fragments probably means you have a well-established infestation. Cockroach damage – Roaches nibble on various materials around the home, often causing visible marks. Check food, paper and plastic items around your house for signs of cockroach damage. Smell – Are you starting to notice an unpleasant odor in your house? Cockroaches emit a powerful, musty scent that increases as their numbers do. Over time, this smell can become overpowering and may even start to affect the taste of certain foods. Once you’ve found roaches in your home, the next step is to work out what type you’re dealing with. Properly identifying your cockroaches is crucial for effective elimination, as control methods vary from species to species. The four most common types are the German cockroach, the American cockroach, the Oriental cockroach, and the Brown-banded cockroach. But how can you go about identifying your roaches? The best way to work out what species of cockroach you have is to get a good look at them up close. However, these fast-moving bugs are extremely hard to examine when they’re running around. “They are also nocturnal,” adds Butter, “which means they only come out during the night and hide as soon as they sense someone coming which makes them harder to spot.” The best way to get a proper look at these insects is to trap a few, so you can effectively figure out what type they are. Traps can also be used to determine exactly where the bulk of your cockroach population is hiding out, so you know which area to tackle first. Glue traps (or sticky traps) are one of the best ways to identify and monitor cockroach populations. These simple traps are widely available for purchase and very easy to use. They have a sticky surface that roaches become glued to as soon as they step onto them, holding them securely in place. This allows you to get a good look at your roaches when you come to check the traps. Although baited traps are available (and will usually capture more roaches) it is better to use non-baited traps for monitoring purposes. This will allow you to get a better idea of where your cockroaches are coming from and can help you to identify nest sites. When using glue traps for roach identification, set them up in places where cockroaches are most likely to be living. This may be near cracks and crevices, in warm, humid areas, or close to food and water sources. Glass jar traps are a great way to capture a few roaches for identification and are easy to make at home. All you need is a large jar (e.g a jelly or mayonnaise jar), some duct tape, vaseline, and bait. First, wrap the outside of the jar in duct tape. This will create a surface that cockroaches are able to climb up. Next, smear the inside of the jar with vaseline to make it slippery. This way, roaches will not be able to climb out of your trap once they have fallen inside. Tempt roaches into the jar by using bait with a strong odor, such as a piece of banana peel or onion. Finally, make sure your jar traps work by placing them in areas with high levels of cockroach activity. Roaches love the dark and are more active at night, so check your traps in the morning to see if you’ve caught anything. For the best results, place your traps in areas with high levels of cockroach activity. This may be behind appliances (such as refrigerators or ovens), along skirting boards or in cupboards and closets. 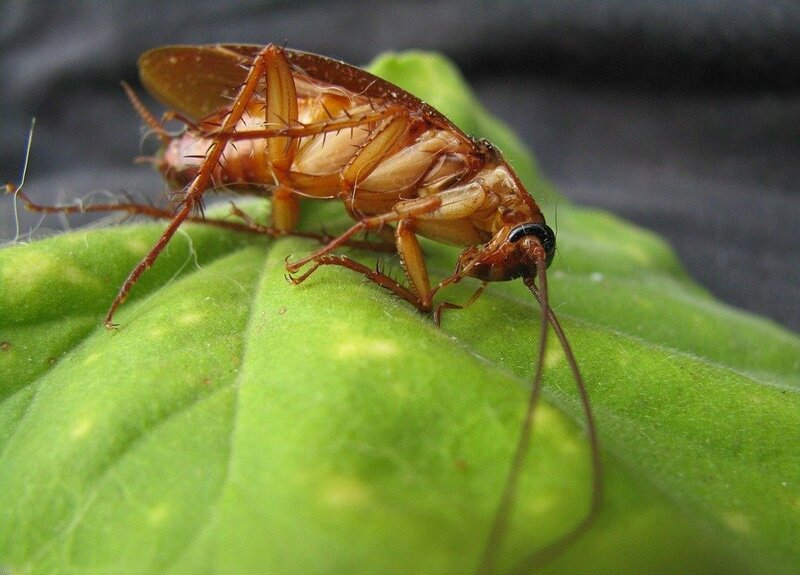 Areas that are commonly frequented by roaches are easy to spot – be on the lookout for droppings, cast skins, live or dead roaches, and cockroach fragments. Use several traps in various locations around your home to determine where you have the most cockroaches. Once you’ve captured a cockroach you can make a close examination of it to work out what species you’re dealing with. There are several types of cockroaches you might come in contact with. Like German cockroach, Oriental cockroach, American cockroach, and many others. Even though it’s not always easy to tell which one you’re dealing with, each has specific traits that can help to figure it out. Appearance: German cockroaches are light brown in color with two darker parallel lines that run from the head to the wingtips. They are small compared to many other roach species, measuring around 14 mm long. Where do they come from? German cockroaches prefer to live indoors and will enter your house via any crack or crevice they can find. They will often come in through drains, vents, air ducts, trash chutes and the gaps around windows and doors. German roaches can also sneak in by hiding in produce boxes, laundry packages, used furniture, appliances, or anything else you may bring into your home. Habitat: Once inside, German cockroaches will make their nests in small spaces around the home, usually near food and water sources. They favor warm, humid conditions and can often be found hiding under appliances in kitchens, or in bathrooms. These roaches also love to be near food sources and are commonly found inhabiting pantries, cupboards and trash cans. What do they eat? Anything and everything! German cockroaches are especially fond of human and pet food (especially starchy foods). However, this won’t stop them from feeding on decaying organic matter, such as trash and food waste. They are also fond of paper, glue, and wood, which is bad news for your books and wallpaper. Life cycle: German cockroaches are fast breeders and produce more eggs over the course of their lives than any other species. Once they reach adulthood, the females can produce up to one egg case every 6 weeks, which they carry around until shortly before hatching. The baby roaches emerge after only 28 days and take around 35 days to fully mature. The total lifespan of the German cockroach is up to 12 months. Appearance: American cockroaches are one of the largest roach species and can reach up to 53 mm in length. They have a reddish-brown color, with a pale yellowish band around the edge of the abdomen. Where do they come from? American roaches typically prefer to live outdoors but will often come inside during wintertime. The plummeting temperatures and increased scarcity of food and water send them scurrying for shelter and they will enter your home via cracks, drains, trash chutes, and air vents. Habitat: When outdoors, American roaches most commonly inhabit sewers and drains. Once inside, they head straight for warm, humid areas with ready access to food and water. They are, therefore, most often found in kitchens, bathrooms, boiler rooms, and basements, as well as around floor drains and water heaters. They may also be found in pantries, or anywhere else food is prepared or stored. What do they eat? Like most roaches, American cockroaches aren’t fussy about what they eat and will feed on all kinds of food and decaying organic matter. They are also fond of fermented liquids, especially beer! Life cycle: American roaches mature very slowly for insects, taking an average of 600 days to reach adulthood. Adult female roaches produce one egg sack roughly 1 week after mating but, unlike German roaches, they deposit these oothecae shortly after they form. The baby roaches will emerge from the egg case after 29 – 58 days, depending on the surrounding conditions. The total lifespan of the American cockroach is remarkably long, and they can live for up to 1000 days. 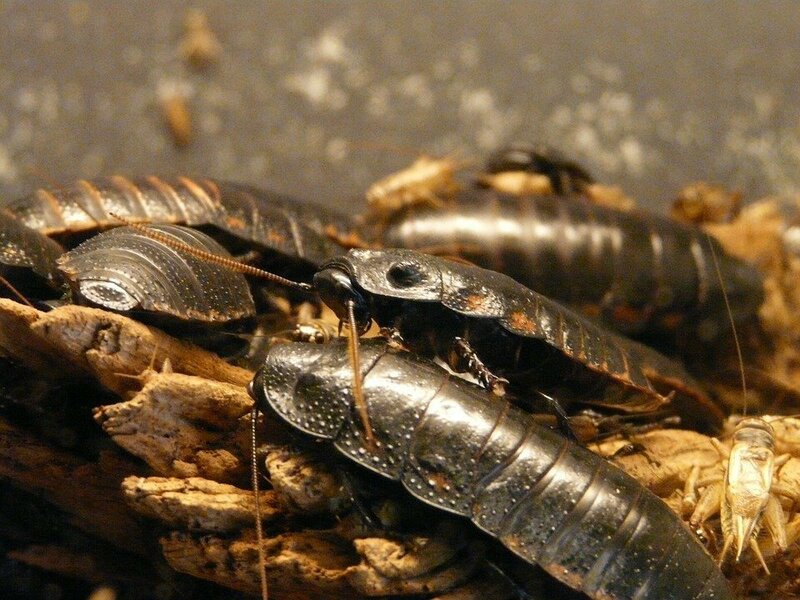 Appearance: Oriental roaches are dark brown or black in color and have a glossy appearance. Adult specimens can reach up to 25 mm in length. Where do they come from? Like most other cockroach species, Oriental roaches will find their way into your house by any means possible. This may be through vents, garbage chutes, or any other small gap they can find. They may also make their way inside by stowing away inside food or laundry parcels. Habitat: Oriental cockroaches prefer the cool, damp, dark areas and are generally found outdoors. During summertime, they can most often be found living beneath leaves and around shrubs and flowers in your yard, or inhabiting garbage cans and trash chutes. Although Oriental roaches are typically outdoor-dwellers, they will often find their way indoors during periods of drought. Once inside, they will often set up home in basements, drains, sewers and beneath washing machines, sinks and bathtubs. They aren’t big climbers, however, and will rarely be found on floors above ground-level. What do they eat? Oriental roaches feed primarily on decaying, organic matter. For this reason, they can most commonly be found feeding on the filth around garbage cans and trash chutes. Life cycle: Baby Oriental cockroaches emerge from their eggs after around a 60 day incubation period. The time they take to reach adulthood varies significantly depending on the surrounding conditions and can take anything from 24 – 130 weeks. Their adult lifespan is also highly variable, and females live for 5 – 26 weeks. On average, each female will produce around 200 babies during her adult life. Appearance: Brown-banded cockroaches are reddish or light-brown in color, and get their name from the two distinctive light brown or yellow bands across their bodies. These roaches are similar in size to German roaches and grow up to around 14 mm in length. Where do they come from? Brown-banded roaches thrive in high temperatures and will often find their way into houses. They get in through any gap or crack they can find and will enter through air vents, trash chutes and the gaps around windows and door frames. Habitat: Brown-banded cockroaches love high-temperature areas and do not require as much water as other cockroach species. Therefore, they are more often found in bedrooms and living rooms than kitchens and bathrooms. They can often be found above-ground, especially behind picture frames, in cabinets and around closet shelves. Warm areas, such as around refrigerator motors and TV sets, are also preferred habitats for the brown-banded roach. What do they eat? These cockroaches will eat almost anything organic; food, decaying matter, and even glues and paste. They are also attracted to starches and paper and may nibble on books, wallpaper, stamps, and envelopes. Life cycle: Brown-banded cockroaches only live for up to 13 – 45 weeks in total, yet female adults have the potential to produce up to 600 offspring over the course of their lives. However, their developmental process is slow, and nymphs take a long time to reach sexual maturity. The egg cases take, on average, 50 days to hatch and nymphs take 3 – 31 weeks to reach adulthood. The lifespan of the adult roach will vary significantly depending on the surrounding environment but may extend up to 45 weeks. Your first line of defense against cockroaches is to make your home a less appealing place for them to live. Making sure they don’t have access to food, water or hiding places is a highly effective way to reduce an infestation, and is an essential part of pest management. These primary control steps are essential no matter if you live in a house or an apartment building. However, if you live in an apartment building you need to be especially careful “as you never know what the other apartments could be harboring, specifically the adjoining units,” mentions Luqman Butter. Roaches feast on food scraps and waste and are often lured indoors by the promise of a good meal. Therefore Luqman Butter first suggests to “eliminate food sources from the counters and floors, store food items in sealed containers high off from kitchen counters, and produce in the refrigerator.“ Clean up all spillages, wash any dishes immediately, and rinse out recyclable materials thoroughly. If you have pets, make sure their food bowls are empty and completely clean between feeding times, and especially overnight when roaches are most active. Leaks can spring up in unexpected places, so make sure you conduct a thorough check for them around your house. Water may accumulate under air conditioning units, faucets, pipes and shower heads. Clogged drains can also harbor standing water, so make sure to check all pipes around your house for blockages. If you have pets, make sure to empty out any water bowls overnight. Finally, wipe up all water spillages immediately to eliminate damp areas around your house. Cockroaches love cracks, crevices and concealed hiding places. Therefore Butter suggests to “ensure proper sealing and caulking of cracks and crevices, around baseboards, windows, doors, plumbing pipes and all other facilities entering your apartment.” Giving roaches nowhere to run is important for eliminating these pests from your house and is one of the first things you should do if you have an infestation. “Maintaining good sanitation and cleanliness by removing clutter” is also a good way to keep the roaches out Luqman Butter notes. So, get rid of any unused boxes, clothing, appliances, and furniture, as these can all harbor cockroaches. Clutter around the outside of your home, such as compost piles, overgrown shrubs, and firewood, can also harbor roaches. Clearing the area around your property can prevent these critters from creeping too close! Trim bushes, clear away piles of leaves and store firewood at least 20 feet from your property to keep your home a roach-free zone. The type of control methods you use to eliminate your roaches will depend on what is most appropriate for your personal situation. People with children or pets in their home may want to steer clear of insecticides or chemicals where possible, as these can be highly toxic if ingested. Natural, non-toxic methods can be a good starting point if you’re reluctant to bring poisons into your home. However, if you have a well-established infestation it may be a better idea to go in hard with insecticidal baits and sprays. Whatever method you choose, you can get better results by using several control methods at once. Toxic or non-toxic methods coupled with the primary control steps detailed above is the most effective way of eliminating roaches from your home. Not surprisingly many people prefer using non-toxic methods, due to safety and health reasons. Luckily, there are a few that can be used to help with the situation. Here are some of the most popular ones. Vacuuming is one of the easiest non-toxic ways to drastically reduce your roach population. Have your vacuum cleaner switched on and at the ready as you move appliances and furniture to uncover the roaches beneath. Remember, cockroaches are fast runners so you have to be prepared to move quickly! Bear in mind that vacuuming will not kill roaches or damage egg cases. Therefore, it is important to tightly seal vacuum bags and dispose of them immediately in the outdoor garbage to prevent roaches from escaping and re-entering your home. This method should be performed daily over a period of several weeks to make sure you have removed as many cockroaches as possible. Although vacuuming can effectively remove the bulk of your roach infestation, cockroaches are very good at hiding in cracks and crevices. Vacuuming should, therefore, be used in combination with other primary control methods and baits for the best results. Cockroaches are cold-blooded creatures and usually require warm or temperate conditions to survive. Using cold treatment can, therefore, be an effective way to kill roaches hiding out in furniture or appliances around your home. This method is only effective if the temperature change is quick and drastic, however, as roaches are able to survive gradual changes in temperature. Large items, such as furniture and bigger appliances, can be placed in a garage where the temperature drops below 0 F. Roach egg cases will not die without prolonged exposure to cold, so you will have to leave them there for several days for this method to be effective. If you have large numbers of roaches hiding out in cracks and crevices, you can apply cold treatment using a CO2 (carbon dioxide) canister. This will deliver a freezing blast to localized areas, effectively killing any roaches hiding here. Smaller appliances can be placed in the freezer overnight for the same effect. This method should be used in combination with other control measures (such as primary control steps) for effective roach removal. Trapping may be an effective control measure for removing roaches from your home. However, this method is only likely to work if you have a small, localized infestation. Glue traps (or sticky traps) are very easy to use and widely available for purchase. These simple traps use a sticky glue surface to capture any cockroach that walks across them. Glue traps are more effective when baited, as this will lure roaches toward the trap. One effective bait is the aggregation pheromone, a chemical that cockroaches release in their feces. This pheromone has been found to draw other cockroaches to the area, which is a key part of nest formation. Sticky traps laced with this pheromone will, therefore, attract and catch more roaches than those without. Although the glue used in these traps is non-toxic they should still be used with care. Glue boards are very, very sticky and can adhere tightly to skin and fur, which can cause damage when they are removed. Sticky traps must, therefore, be kept well out of the way of any children or pets in your household to prevent injuries. Glass jar traps can be a simple, DIY solution for eradicating small numbers of cockroaches. These homemade traps are easy to set up and can be put together using everyday, household items. First, find a large jar (such as a jelly or mayonnaise jar) and wrap the outside of it in duct tape – this will create traction, so roaches can climb up. Next, coat the inside of the jar in vaseline to create a slippery surface they are unable to walk on. Finally, bait your trap with a piece of onion or banana peel. Choosing a bait with a strong odor will help to attract roaches and tempt them inside. Once they fall into the jar trap, the cockroaches will be unable to crawl out and can be disposed of the next day. To kill roaches you can either freeze them or pour hot, soapy water into the jar trap. Putting together a bottle trap is easy and inexpensive, and can be done using everyday, household items. First, find an empty plastic bottle and cut the top off where it starts to curve. Next, coat the inside of the bottom part of the bottle with vaseline, to create a slippery surface that roaches will be unable to climb. Bait your trap with something that will appeal to cockroaches. Onion and banana peel works very well, as they have a strong scent. Other good baits include peanut butter, bread, and dog food. Once you’ve placed your preferred bait in the bottom of the bottle, turn the top part of the bottle upside-down and insert it, neck down, into the bottom part. Secure the two pieces in place with tape and leave your trap in an area with a lot of roach activity. The bottle trap can capture several roaches at once and can be helpful in clearing away small cockroach infestations. Although roach traps are more often used for monitoring purposes, they can be effective for clearing small infestations of cockroaches from your home. Make sure you place traps in areas with high levels of cockroach activity. This may be near known roach nests, near food or moisture sources, or near cracks and crevices. Even if your roach population is too big to be effectively controlled using traps, it is a good idea to use them throughout the extermination process anyway. This will keep you informed about the number of cockroaches in your home and where their nesting sites are as you work on eliminating them. With the amount of information that’s available on the internet, it is no surprise that people might get confused. To end the confusion, we have listed a few roach killers that will actually do the job. Many people believe there is no need to use unnatural products to deal with the situation. Good news is, there are plenty of roach killers for people who want to do it the natural way. Diatomaceous earth is an abrasive powder that is mined from the fossilized silica shells of microscopic sea creatures, known as diatoms. This natural, non-toxic substance is not only inexpensive, easy to find and safe to use; it’s also one of the most effective ways to eliminate cockroaches. Diatomaceous earth is, therefore, one of the best roach killers for home use. Simply scatter a thin layer of the powder over areas of your home that see a lot of roach traffic and leave it there for several weeks. Once a cockroach walks through the powder, particles of the diatomaceous earth will cling to its body and legs. Diatomaceous earth is a desiccant that breaks down the waxy cuticle that covers the cockroaches body. This causes the roach to dry out and die shortly after. For best results, thoroughly clean all areas to be treated before you apply diatomaceous earth, and make sure the dust is kept dry. Use a thin layer only, as roaches won’t walk through the powder if it is applied too thickly. Must be used consistently over a period of weeks or even months for total roach removal. Boric acid can be bought in powder form from most grocery stores and is a highly effective natural roach killer. This product is very easy to use but should be combined with some sort of bait for maximum effectiveness. The simplest way to do this is to mix equal quantities of Boric acid and flour, making sure they are thoroughly combined. This mixture can then be placed in shallow dishes or jar lids in areas that see a lot of roach traffic, such as behind appliances or in cupboards. The roaches, attracted to the flour, will walk through the powder and become coated in it. They will then ingest the boric acid as they preen themselves, which alters the shape and structure of the insect gut wall. This causes the roach to die from starvation after a few days. Once dead, the cockroach becomes food for its living relatives. In feeding on the poisoned roach, they will ingest the boric acid still coating its body and die as a result. For best results, keep your Boric acid bait fresh and dry so it doesn’t lose its appeal to roaches. Replace the bait as often as necessary and use this method over a period of at least 2 months in combination with primary control methods. Borax is the unrefined version of Boric acid and is highly effective for killing roaches. This mineral is a common ingredient in soaps and laundry detergents, so it’s easy to find in most supermarkets. If you choose to use this method, pick a detergent with a high percentage of borax, such as Borax 20 Mule Team Detergent, for the best results. To use borax, simply scatter a fine layer of this white powder in areas with high levels of cockroach activity. The roaches will then walk through the powder, which coats the insect’s legs and body. The borax is ingested as the cockroach preens itself, causing damage to the gut lining and swift death. Other cockroaches will then feed on the body of the dead roach, ingesting more of the poison in the process. For best results, use only a thin layer of borax powder; if the powder is applied too thickly, roaches will avoid walking on it. It’s also important to clean and dust all treatable areas thoroughly before you apply borax and to make sure it is kept dry. If you have children or pets in your household, use borax with caution. Although relatively safe to use, borax can be toxic if large quantities are ingested. As with other roach killers, borax should be used in combo with primary control methods for the best results. Silica aerogel is a dehydrating agent that is usually sold in granule form. This product is most often found in small bags which are slipped inside the packaging of electronics, bags and some food products to keep them dry. It is also highly effective as a non-chemical roach killer and can easily be applied at home. However, Luqman Butter warns that “using domestic products in a wrong way can often lead to the spread of cockroaches in other areas of the house or apartment and cause them to penetrate deep inside the structure.” So make sure to use silica and other similar products exactly how manufacturers have intended them to be used. When it comes to silica aerogel particularly, scatter its particles in areas that see a lot of cockroach traffic. When roaches walk over these areas, the granules will stick tightly to their bodies and quickly absorb their waxy coating. Without this protective layer, the cockroach will quickly dry out and die. Silica aerogel should be handled with caution, as silica dust can cause respiratory problems if inhaled. Apply the granules in a thin layer and keep them dry to ensure their effectiveness. Of course, not everyone chooses to limit themselves to natural killers. Instead, many people don’t mind looking into help within the world of chemicals. Cockroach baits are special formulations designed to attract and kill roaches. These usually come in two main forms; gel baits, and bait stations. Gel baits combine insecticides with edible formulations and are often sold in syringe-style applicators. These can be used to dispense small amounts of the gel in cracks and crevices, under appliances, in closets and anywhere else cockroaches typically hang out. Baits are also sold in the form of granules, which are often housed in bait stations. These can be used both indoors and outdoors and, like gel baits, are formulated to be attractive to cockroaches. Granule baits are commonly placed inside bait stations; enclosed boxes that allow roaches inside, but keep the bait contained. This prevents the bait from coming into contact with food and keeps it well away from any small children or pets that may live in your house. Once eaten, baits will usually kill cockroaches within a few days. As Butter explained: “It is very important to have the right knowledge and expertise in where to place the products to achieve maximum results.“ In this case, for best results baits should be placed in areas with high levels of roach activity such as near nests, in cupboards and closets, and behind kitchen appliances. Baits are most effective when combined with primary control measures, i.e. elimination of food/water sources and hiding places. Roach bombs, or total release foggers, contain insecticides that are typically sold in aerosol containers. Once triggered, they release concentrated insecticidal fumes that settle over any exposed surface in your house. They can also be used to effectively treat all exposed surfaces at once, including the insides of cupboards. Cockroaches will come into contact with the poison as they walk over these surfaces and die shortly afterward. Unfortunately, the fumes from roach bombs are not able to penetrate cracks and crevices, which is where cockroaches most often hide out. They also require more effort than other control methods and mean you must evacuate your house for several hours while treatment is being carried out. The fumes from roach bombs and foggers can also present a fire hazard, and extensive ventilation is required to make your home safe to re-enter. When combined with other control methods (such as baits and primary control methods) roach bombs may help to clear a cockroach infestation. Roach dusts combine an active, cockroach-killing ingredient with a powdered substance such as talc, ash or clay. The powder itself will not harm the cockroach, but it is very useful for helping the insecticidal ingredient to stick to the insect’s body. When roaches walk through the dust, they will become coated with the poison-powder mixture, which they later ingest during preening. Once eaten, the active ingredient will quickly kill the cockroach. Although roach powders are a highly effective tool in the war on cockroaches, they are not suitable for use in areas that see a lot of household traffic. These lightweight dusts are easily stirred up and displaced by air movement and may cause respiratory problems if inhaled. Roach powders are, therefore, most appropriate for use in enclosed spaces such as under kitchen counters, behind appliances and in wall spaces. Wettable powders are similar to dry roach dusts, but they can be mixed with water to make a spray. This can then be applied to surfaces around the home to control cockroaches. The advantage of wettable powders over dusts is that the water helps them to stick to surfaces, meaning they are less easily displaced. This makes them more suitable for use on floors, inside cupboards and on shelves and countertops. Exercise caution when using roach powders in your home, especially if you live with small children or pets. The insecticides and pesticides used in these formulations may be toxic to humans and animals if ingested. Whichever powder you choose, it should be used in combination with primary control methods for the best effect. Roach sprays are ready-to-use (RTU), liquid formulations that are sold in spray bottles, and are very easy to apply in your home. These sprays are usually a diluted concoction containing an active ingredient and require no further mixing – simply point and shoot! Cockroach sprays can be used on a variety of exposed surfaces such as countertops, floors, inside cupboards and beneath appliances. Cockroaches will come into contact with the residue from the spray as they walk over treated surfaces and die shortly after. Because RTU sprays usually contain a low concentration of insecticide, they are considered safer to use at home than other popular roach killers. However, the residues left behind by roach sprays must be left undisturbed, or the treatment will not be effective. This can be difficult in areas that require regular cleanings, such as countertops or floors. Roach sprays must, therefore, be used continually to have any effect. When used consistently and in combination with primary control methods, roach sprays can be a very effective way to cut cockroach numbers in your home. Roach aerosols are easy to use and widely available for purchase, making them a popular choice for cockroach control at home. Usually sold in pressurized canisters, these aerosols contain an active insecticidal ingredient that is dissolved in a solvent. This can then be sprayed on live cockroaches to kill them. Roach aerosols are ‘contact insecticides’, meaning they are most effective when the liquid makes direct contact with the insect. This is useful if you’re tackling a nest of live roaches but won’t have much effect when applied to surfaces around the home. Aerosols also contain a low concentration of insecticide. This makes them safer to use in the home than other roach killers, but also makes them less potent. They are also unsuitable for use in cracks and crevices, where cockroaches frequently hide out. Use aerosols alongside primary control measures and another type of roach-killer, such as baits, for the best results. Insect Growth Regulators (IGRs) are a type of insecticide that disrupts how cockroaches grow and reproduce. They work by interfering with cockroach development, restricting their growth and often rendering them infertile. This prevents them from producing eggs and can stop an infestation in its tracks. Because IGRs don’t immediately kill cockroaches, they are usually mixed with an insecticidal active ingredient. This will kill a certain number of roaches, while the rest will be developmentally damaged and/or unable to breed. Ultimately, all cockroaches that come into contact with the treatment will die. IGRs are usually sold in aerosol or concentrated liquid form. This formulation is usually absorbed into the insect’s body and takes effect shortly afterward. Although IGRs are highly toxic to cockroaches, they have little effect on human and other, non-target animals. They are, therefore, relatively safe for home use and in households with children and pets. As with all other roach killers, IGRs are most effective when combined with other control methods. Use IGRs alongside primary control measures and monitor your cockroach population using traps for the best results. However, not everything that can be bought is also worth the money. There are more than enough roach-repelling options that sound great in theory but don’t really work in real life. Here are some of the most commonly used ones. Ultrasonic roach repellents are devices that emit ultrasonic sound waves. These sound waves are alleged to repel roaches and other pests; however, there is no scientific evidence to support this claim. In fact, several studies have found that commercially available ultrasonic pest repellents are largely ineffective when used at home. Cockroach repellent pouches and pellets usually contain non-toxic, natural ingredients and are easy to use. Some plants and their extracts (especially oregano) have been found to have some repellent effects on cockroaches, and these are often included in pouches and pellets. However, if you are tackling a well-established infestation, roach pouches are not potent enough to make much of a difference. Essential oils are often used as a ‘green’ alternative to chemical roach killers. Commonly used oils include clove, mint, thyme, rosemary, oregano, and neem, which can either be purchased in dust or aerosol formulations or mixed with alcohol to create a homemade spray. Although more environmentally friendly than chemical or insecticidal methods, essential oils are, unfortunately, nowhere near as effective. Although some have been found to have a toxic effect on roaches, they must make direct contact with the insect to work. Essential oils are also highly volatile, meaning they evaporate quickly. This means that, although they may be effective for a short period of time, their effect will usually wear off within a few hours. Many household items, including various herbs and spices, lemon juice and vinegar, are thought to repel cockroaches. These can be mixed into concoctions that may have a slight repellent effect on roaches and other insects but are not effective enough to control an infestation. Although vinegar and lemon juice sprays can be used to effectively clean surfaces that roaches have walked across, they will do nothing to repel or kill the insects. The scent of bay leaves, mint, rosemary, and catnip have been found to repel insects. However, they will not have a strong enough effect to drive large numbers of roaches away. Installing some of these plants around the outside of your home may help to prevent cockroaches from moving in in the future, but they are unlikely to help much if you’re dealing with an infestation. Even though there are many ways to battle roaches on your own, it isn’t always enough. It is always a good idea to keep the number a good roach exterminator written down somewhere just in case. “Trying to get rid of the cockroaches yourself may seem like the most cost and time-effective way to tackle the issue, however, that may not be the case,” says the Pestend owner. 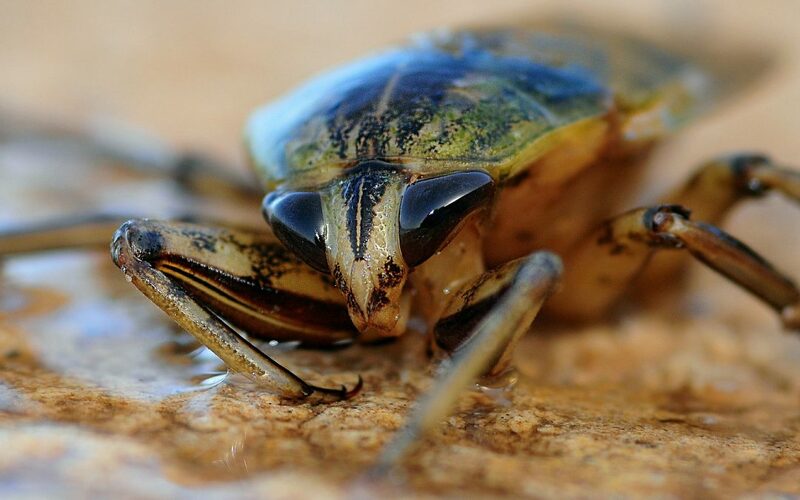 If you are dealing with a large, well-established cockroach infestation, battling these bugs can be a lengthy, frustrating and fruitless process. “The domestic products available to the general public are not as strong and effective as the ones used by professionals,” Butter writes, “professional products require proper handling, storage keeping, and application training.” So, when you feel that the cockroach infestation is getting out of hand and is becoming too severe to be handled without the help of a professional, then it is time to call a pest control company. Pest control company should be certified, licensed, bonded and trained professionals. Exterminator should belong to a reputable company. Pest control company should offer a guarantee/warranty for their services. Pest control company should be willing/able to provide you with information regarding their products (Product labels and MSDS) upon request. Pest control company should provide you with proper documentation with the details of the service. A professional cockroach exterminator should be able to clear you cockroach population quickly and efficiently. But which are the most reliable pest control companies? Terminix is a well-established and highly rated pest control company with a reputation for offering a reliable and professional service. Their knowledgeable technicians will conduct a thorough inspection of your house before developing a customized plan to rid you of roaches. They can also re-treat your home throughout the year to guarantee that cockroaches don’t return to your home. Orkin is a pest control company with confidence in their abilities, guaranteeing a 100% success rate (or your money back!). If you continue to see roaches between treatments, their pest control professionals will return at no extra charge. Their customized treatment plans are highly effective, with scientific backing and a proven success rate. On top of that cockroaches are not only highly resilient creatures, they also breed at frightening speed. Taking down a fully-fledged infestation will require a multi-pronged attack, and may take weeks or months. Primary control measures (i.e. eliminating food/water sources and hiding places) are your first line of defense against roaches. Combine these with natural or chemical roach killers (such as bait, dusts or sprays) for maximum effectiveness, and you should see your cockroach population decline dramatically. If your infestation has become so large as to become unmanageable, a pest control expert can help you deal with the situation efficiently and effectively.